We live with our berger picards in a very quiet environment surrounded by a wonderful nature, right next to the lake of Sanguinet and near to the miles and miles of beaches of the Atlantic Ocean, a bit south of Bordeaux (France). From the major European airports we are reachable in a minimum of time by plane. From the airport of Bordeaux to our home in Sanguinet it is a 50 min drive. Our picards are family members and live with us in our home. We don’t use cages nor kennels. Our picards share our every-day-life and lots of adventures with us. You can follow them on our blog section (please select the German flag to see all our blog entries). We are berger picard owners since 2004 and in the meantime big fanciers of this French shepherds. Name giver of our kennel de la Forêt de Garou is our male Garou. Our first litter of was born in April 2015, the second in May 2016. 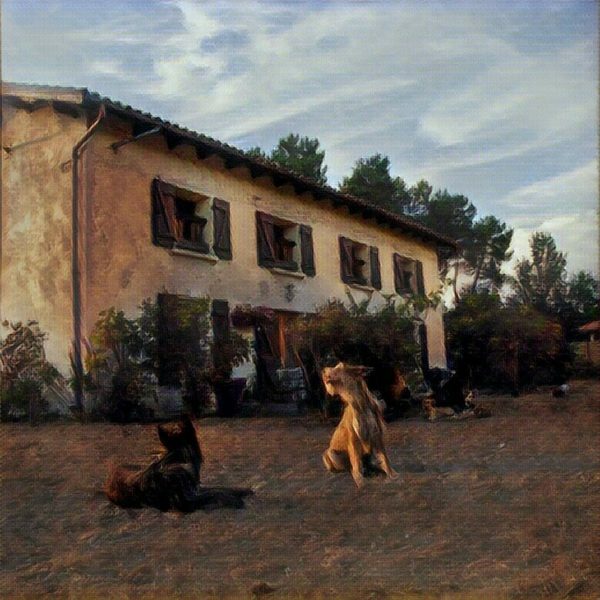 Our breeding goal is to breed dogs who are healthy, with good temperament and who comply closely to the breed standard – and to contribute to the preservation of this rare French breed. We place special value of an excellent socalizing and species-appropriate infancy. The period in the spring is the time where in the nature young animals are born. We feel the same and therefore we will plan, as far as possible, a litter in the spring/summer months and not in the winter period. Puppies should have the possibility to explore adequately the surroundings, be able to evolve and to gather many new impressions – this is not possible as we would like in the wet and colder months of the year. Our puppies are born and raised in our home, around people, cats, other dogs and get all the attention they need. We set high value on healthy, varied, high quality diet – without doubt, an important aspect in the health of a puppy (and dog). We will try to ensure that none of our puppies will develop any food allergies or a so called sensitive stomach. Finding loving families for our puppies is our goal. Once they leave our kennel, the puppies got their wormings several times, were examined by a veterinarian, were ageappropriate vaccinated, got microchipped, have a EU pet password and LOF/FCI papers (pedigree). We would like to stay in touch with the new families of our puppies and follow from afar their new life. 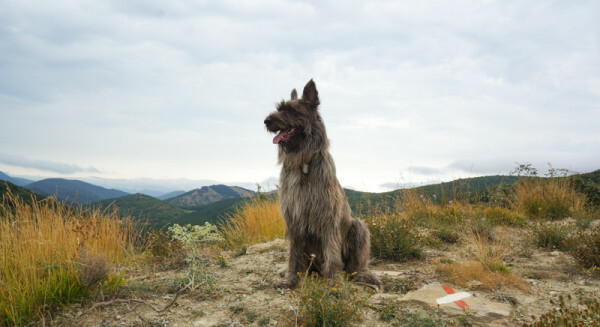 A picard comes in the coat colors fauve (straw blond), fauve charbonné (dark fawn), gris to bringé (dark multi colored). We do love the picard in all its variety and if possible you can expect puppies in all the coat colors (as described in the breed standard) in our kennel. We do health tests on our breeding dogs as suggested by the French berger picard club where we are members. Our picards and the offspring of them are gorgeous representants of their breed, as show the excellent evaluations they got from judges and judges specialized in this breed. For us it is important that our picards pass the CANT test (Certificat d’Aptitudes Naturelles sur Troupeau – French herding instinct test on livestock). Only picards from 6 to 18 months are allowed to be entered to this test. Did our picards arouse your interest? Are you interested in adding a puppy to your household? We only have puppies occasionally though. Please get in touch with us via e-mail or call us. kathy erickson on Horray! Honneur is having puppies soon!